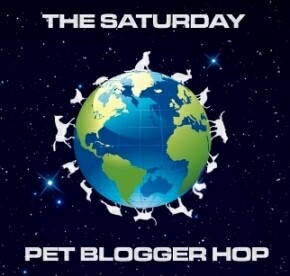 The World According To Lexi: Saturday Pet Blogger Hop - In Memory of Big Old Jake! Saturday Pet Blogger Hop - In Memory of Big Old Jake! My best friend Terri's dog Jake died last week. Hurricane Sandy knocked out the power to the farm's underground fencing and Jake could not resist running after a pack of deer. Old Jake died doing something he loved, chasing deer. When he didn't show up at home, the family knew something was wrong. They found out later that poor sweet Jake had been struck and killed by a passing car. He was a sweet old gentleman of a dog that I know died doing what he loved the most, chasing big animals that run. 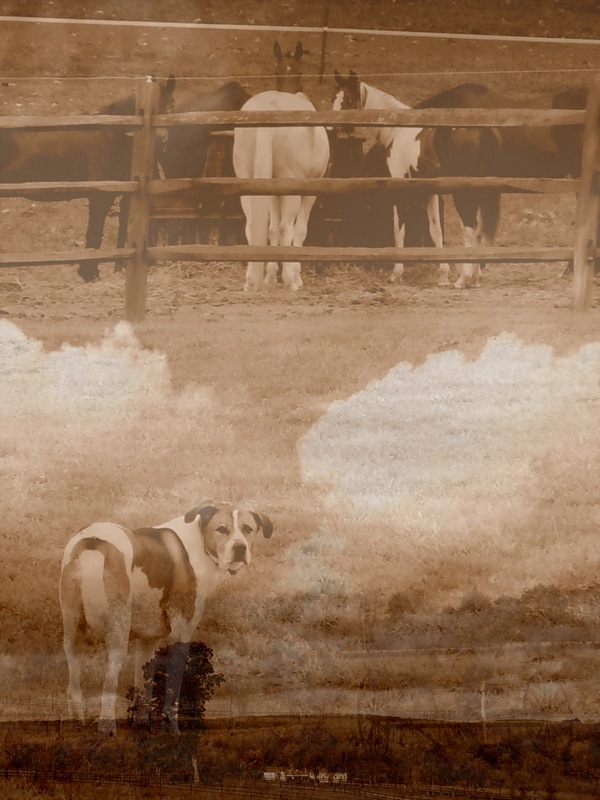 Jake resided on The Overlook Farm in Purcellville, VA. His occupation was being the best farm dog he could be. Jake has a long list of hobbies but one of his favorite things to do was hanging out with and loving on his little human girl Casey Jones. He also loved playing with the farm kitten but don't tell the other "dawgs" in the neighborhood. He loved laying in front of the T.V. at night watching movies with his daddy. Jake was very athletic and one of his favorite sports was to chase bunny rabbits. In his later years he took on more of a management roll on the farm by directing and letting all the horses on the farm know that he was the boss. Jake took great pride in being the ultimate guard dog on The Overlook Farm by keeping strangers and criminals away. He also loved a good old fashioned belly rub and he loved his family. He is survived by his best buddy in the world Andrew Tibbals, his companion and favorite little girl (who he loved to keep an eye on just in case she got into mischief) Miss Casey Jones, his kitten, his mommy and daddy Terri and Fred Jones. Jake will be laid to rest on the grounds of The Overlook Farm where his spirit will remain as a guardian to watch over his family that he so cherished. Run free Jakey boy, run free. Your family will meet you at Rainbow Bridge. This was Jake about six years ago with his best friend Andrew. This was Jake last Winter meeting one of my rescue pups Maddi when I took her to meet her new family. Jake's daddy told me he hated when other dogs came to The Overlook Farm but for some reason he could tell Madison was special. He liked her from his first meeting with her. Maddi is a doll baby that any respectable male dog would be sweet on right away. Jake and Maddi watching the main entrance to the farm. Always on the lookout for anything out of the ordinary...Jake was a good watch dog! Can you say BEEFCAKE?! What a hunk of a hound old Jakey was. Jake in this photo was like: "did you say the T - word...as in TREAT?" Jake was always on the look out checking all the perimeters of the farm. This was a big job and over the years it took a very dedicated and loyal dog like Jake to get the job done. Jake, Your family will miss you every single day. I'm sure they will feel your spirit in the warm breeze of the summer's wind rolling across the pastures. They will meet you someday, one by one, on the other side of Rainbow Bridge. Until you see them again, have fun and let your heart not be troubled. All the animals who had been ill and old are restored to health and vigor. Those who were hurt or maimed are made whole and strong again, just as we remember them in our dreams of days and times gone by. The animals are happy and content, except for one small thing; they each miss someone very special to them, who had to be left behind.They all run and play together, but the day comes when one suddenly stops and looks into the distance. His bright eyes are intent. His eager body quivers. Suddenly he begins to run from the group, flying over the green grass, his legs carrying him faster and faster. Lovely tribute to Jake. He will be remembered. Have a super Saturday. Lovely tribute to a beautiful dog! What a wonderful tribute to Jake. I know how much is family is grieving. RIP sweet boy. I'm so sorry to hear about Jake, he seemed like a really sweet boy. And, you've written a lovely tribute to honor him. Oh...so sad...my Humans take it especially hard when one of their pawed ones depart for the Bridge. I'm sure Jake's family is no different. Awww poor old guy. Thanks for sharing your photos. I'm sorry to hear about Jake.